Stop waiting for them to come to you. Good press is hard to come by for churches, and generating it pretty tricky I would imagine. But here seems to be a simple formula that makes sense (feedingthepuppy.com). What have we done as a church or church body that we can capitalize on the story of? It’s like doubling your return on investment. Thanksgiving outreach? Big youth event? What are we doing in big ways that reflects Christ? What are the big events at your church? Are you documenting them? I want to see and share these events with others. Going viral should be the goal. Get the people’s attention and then let the gospel do the rest. 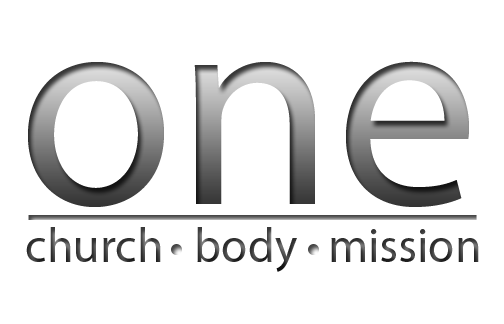 One Church, One Body, One Mission. I’ve been thinking a lot about this recently. As a body of believers we are one church, but we operate on the assumption of defined communities. This isn’t a bad thing. We need tighter communities to foster intimacy so we can see real growth in our spiritual walks together. Communities, or brick and mortar churches, are essential to that fellowship that fosters a oneness in the body. But, in the mission to reach those who are lost with the message of the gospel, sometimes individualized churches tend to be a hinderance to that mission. We tend to box ourselves in when thinking of the next big idea for outreach to come out of our respective church communities. As believers, we have been tasked with a big mission. Why are we limiting ourselves, we have God on our side. In the corporate world, everyone wants to keep their ideas to themselves in order to maximize their own profits, not those of their competitors. With-in the church community, this mode of operation should not exist. Since I’ve been in church IT, I have realized the power in the sharing of information with in the body. I’ve been blessed with the ability to be in constant contact with other church IT professionals, and the wealth of knowledge is astonishing. Ideas are constantly being batted around, experiences shared, and minutes used. Here’s what I don’t understand, why isn’t this being done else where in the church? Maybe it is and I’m just not seeing it, but if that was the case, wouldn’t we be hearing more about church X and church Y teaming up to reach Z city. I’ve heard of children’s ministries sharing curriculums, but when you do hear of it people seem amazed by it. It seems everyone wants to make a buck off their idea. Yes, we need a source of income, but should that really be our focus? Well I want to see people come to Christ because of my ideas, let God take care of the money. Don’t get me wrong, I’m not trying to be critical of any particular church. Nor, do I want this to be perceived as a rant. I’ve seen resource sharing from time to time, but not nearly enough. I came across this post the other day, and realized they have right idea. I’m not sure I like the bigger church abandoning their mission, if only temporarily, to support the smaller church, but their heart is in the right place. I guess this may be an “evangelical” idea, but there are a lot of churches like this out there. Shouldn’t the big one’s lend a hand to the smaller ones if they share the same mission? Denominations aside, aren’t we all in this for the same reason? Again, I’m not trying to say that anyone church is doing a bad job of this, just that we should all be doing more. I wouldn’t be true to this idea of sharing ideas if I didn’t, well, share it.